The long-awaited Minecraft: Wii U Edition finally arrives on the Wii U eShop today, so you'd be forgiven for thinking that the mighty Mojang-developed game would have sent pretenders to the throne running and screaming into their blocky pixel castles. Not so, Cube Life: Island Survival continues to receive updates, uCraft is apparently still on the way. 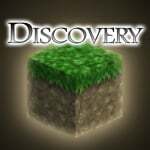 Next on the list is Discovery by developer noowanda, which will be released on the North American eShop on 7th January 2016 costing $6.99. The European release is ongoing localisation still and currently aiming for a February release. Take a look at the trailer and let us know what you think with a comment below. Do you have room in your life for another Minecraft-like game? If so, Discovery could be the just the ticket. Is it just me or does this look better than normal Minecraft? Edit: Remind me to read the title next time, okay? To be fair, though, these blocks in the inventory look strikingly similar to Minecraft. Edit 2: Well those goats and horses certainly look out of place. But if the guy made them block-y as well, Mojang would certainly sue. Looks alright to be honest. When Mine craft was announced that Monday morning I assumed all of these clones, or whatever you want to call them, we're dead. But then I saw the $29.99 price tag, so I'm giving the cheaper guys a chance. Especially if they make proper use of the Game pad in single player and 2 player. $30 vs $7 is not simply a rounding error. And while I've come to understand $30 is also the bundle price on PB4S and X1, both of those systems also still have the $19.99 option. I think Minecraft at $19.99 would have killed these off, but people who already own MC on other systems, which is slmost everybody interested in getting it, may be put off to double, triple or quadruple dip at that $30 price. You can pick up 3 or 4 clones and still have money left over at that price. I will wait for a review from you, guys. And speaking of reviews: I'm also waiting for reviews of Minecraft Wii U Edition and Terraria, which is out for a week now. @rjejr But you can't play in 4 players mode in these clones and there's apparently no survival mode in this one. "Cube Life continues to reveive updates"? Erm, not to be a spoilsport, but as far as I'm aware it still hasn't. At least here in UK. Is Minecraft Story Mode coming to the Wii U? Or do we have to wait three years longer than everyone else for that too? @gurtifus Well, that's why it's $7 and not $30. And for parents buying these types of games for their kids 4 player may not matter. How many people have 4 Minecraft players in 1 house? I think it's a fair trade off. Love cube life, stone shire is getting an update, super hyped for ucraft, and now this looks great as well. 30 dollars for minecraft? Barf! @admin11 Oh boy! Free scam! If Minecraft didn't want competition on the WiiU, they should have released it sooner. Or, to put it better, they could even have released it now without the whole "when Hell freezes" scenario. Sure, it IS Microsoft's property, but then again, that's exactly why there are Minecraft-inspired games on Nintendo consoles now. Yeah, it's a Minecraft type game. Can't say if that's good, bad, or neither. Already sounds better than Minecraft Wii U Edition. I hwve minecraft which isn't so great on my PS3 and cubelife blows it away. 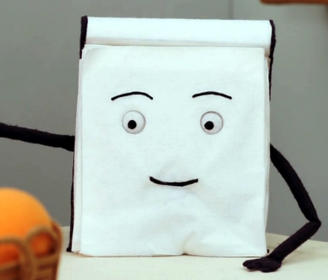 The cubelife update has finally been confirmed for the 22nd. That will feature the local multiplayer. Stoneshire isn't that good and this game and of course ucraft aren't out yet. So I recommend Cubelife but then I'm not a fan of minecraft so consider that in my recommendation. Another plus is it actually uses the gamepad. @SetupDisk I played Minecraft for 3 hours once to try out the Skyrim skin on PS3. Then I bought Skyrim. My kids are addicted to Minecraft, PC for mods and PS3 for couch multiplayer, but they both flatly said "no" to $30 for another version. And since this apparently is the PS3 version and not the PS4 version there' seven less incentive to get it. But they might try out some of the other cheaper games if they are different enough. I think Discovery sounds different enough, my older son likes to build. The younger one just likes to destroy so he may not be as interested in this. But there is a much greater chance of them paying $7 rather than $30. 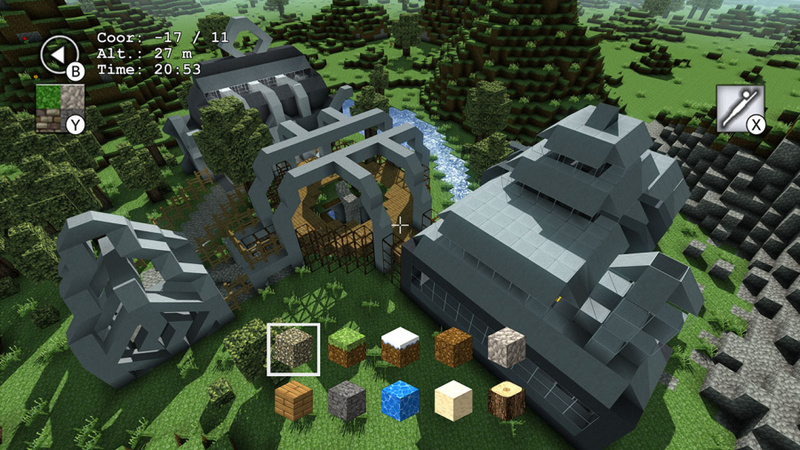 "Prepare to Get Creative With Minecraft-Inspired Game Discovery Coming to Wii U eShop Soon"